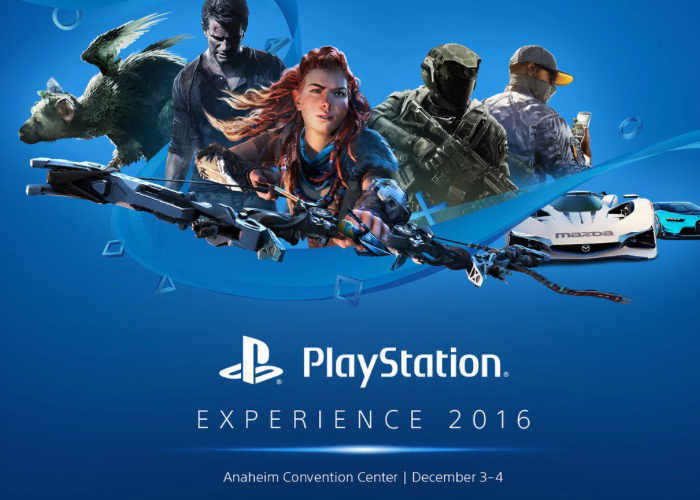 As this year’s PlayStation Experience 2016 edges ever closer to its December 3rd 2016 opening, Sony has this week published the a “Complete Guide” for the PlayStation Experience 2016, over on the official PlayStation blog. Revealing details about what you can expect at this years PlayStation event taking place in the Anaheim Convention Center. During which more than 100 playable games will be available for attendees to enjoy together with discussion panels from some of the top creators in the world, so Sony. PlayStation Showcase kicks off the show on Saturday, December 3rd, starting at 10:00am Pacific Time, and will feature announcements and a sneak peek at the future of PlayStation. The Showcase will be seated on a first-come, first-served basis, so pick up your badges on Friday and get in line early on Saturday if you want the best shot at sitting in. Can’t make it to Anaheim? Then we hope you can watch the show live at live.playstation.com. By logging in at live.playstation.com with your PSN ID, you can unlock bonus content by watching PlayStation Showcase, the PlayStation Experience panel lineup, and PlayStation LiveCast game demos. We’ve announced the list of more than 100 playable games set for the show floor this year. Even the most seasoned con-goer will struggle to squeeze that all into one weekend, so prioritize accordingly! Here’s the full list of games we can share right now, but there will be more waiting for you once the show floor opens on December 3. Capcom Cup will also be returning to PlayStation Experience this year, with the finals taking place on Saturday at 6:00 PM. Watch the top qualifying players from the Capcom Pro Tour compete for more than $250,000 in prizing and the chance to be crowned the Street Fighter V world champion. For full details jump over to the official PlayStation blog via the link below.